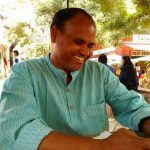 World Poetry Celebrates the Must See Tiger Film!!! Ariadne’s Notes: On November 22, 1: 30 PM, PST, the World Poetry Café Radio Show had a wonderful interview with great interview about respect and diversity with Pardeep Singh Nagra whose film TIGER is inspired by his true story . 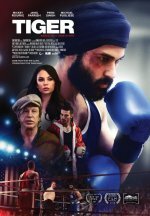 the inspiration of the award winning film TIGER, an aspiring boxer who must fight for his religious beliefs after being banned from the sport for refusing to shave his beard. He called to tell us about his fascinating experiences and advice as a human rights activist as well as to promote the film. 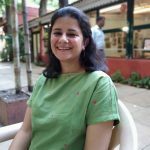 Photo and bio source: https://humanrights.ca/blog/asian-history-month-interview-pardeep. Pardeep Singh Nagra is a man of many talents. 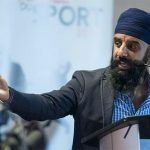 He is the Executive Director of the Sikh Heritage Museum of Canada, located in Mississauga, Ontario; he is also an historian, a researcher, an athlete, a public speaker and a human rights advocate. From comments of those who heard the interview; prejudice, dislike and even hatred are common around the world. They said that his interview gave them hope and the commitment to keep going. Also on the show was a new welcome song from the wonderful Laura Kelsey called I Am a Love Spell http://itunes.apple.com/us/album/love-is-a-spell-single/1442036710 plus an e-poem from Stephen Robert Sutton from England with his new book of poetry. This entry was posted in Ariadne's Notes, E-Poets, Featured musicians and artists., Featured Poets, General and tagged Anhad Films, Author Sharon Rowe, International Peace Award Ariadne Sawyer, Mohan Kimawat, Pardeep Singh Nagra, Rene DeFazio, Sania Hashmi, Stephen Robert Sutton, Tamara Veitch, TARO PR., Tiger Movie, Victor Schwartzman on November 28, 2018 by Ariadne.